Size: L 14-1/2 in. 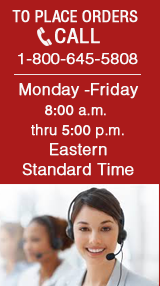 x W 5-1/2 in. x H 8-1/4 in. 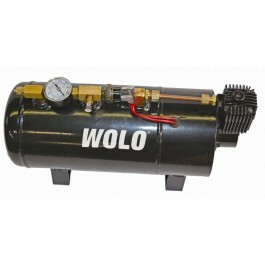 Wolo’s new SHERMAN TANK & COMPRESSOR is an ALL-IN-ONE complete high-pressure on-board air system. The compact one piece design has two steel mounting brackets that are welded to the tank, making installation easier then conventional on-board air systems. The heavy-duty 1-gallon tank is painted black to prevent rust and corrosion. The compressor’s heavy-duty 12-volt motor is balanced to precision and is hidden inside the tank’s housing. The pump’s cylinder head has cooling fins that allows the compressor to operate at a lower temperature, preventing overheating. Other features are: built-in pressure switch, pressure gauge and quality brass fittings. The kit comes complete with mounting hardware, 10 ft. of flexible high-pressure hose, 20 ft. coiled filler hose with brass fittings; all that is needed for a professional installation.